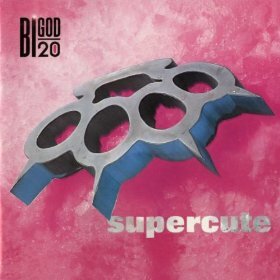 Bigod 20 existed as a band for about 4 years, releasing singles and compilation tracks, before they ever put out a full-length album. I was first introduced to them via the tracks “Body to Body” and “Acid to Body” from the compilation Welcome to the Technodrome, and they were actually some of the first industrial songs I ever heard on a mix tape given to me by a friend. Those rare tracks are minimalist, high-repetition songs with powerful basslines and sparse but heavily distorted vocals, but not much else. Some time later they released the single The Bog, and although it wasn’t even identifiable as the same band as those early tracks, it was an instant classic. This was followed by the Carpe Diem single, giving us another track in a very similar vein to The Bog. And then finally, in 1992, they released their first album. There was a followup album before the band parted ways. One of the main guys in Bigod 20, Talla 2XLC, founded the music label Zoth Ommog. This doesn’t quite compute in my brain and I often forget this fact, just because the music of Bigod 20 doesn’t sound anything like the Zoth Ommog sound. The Bog — Re-issued here although it had been available as a single for a year or two prior, this song is not only a classic for Bigod 20 but for the entire EBM genre. Amazing synth sounds and riffs, complex percussion, and guest vocals from Jean-Luc De Meyer of Front 242. The lyrical content is a little strange, about some sort of swamp monster, but it’s memorable and begs for a singalong. “I’ll take you down there / I’ll take you!”. It Doesn’t Matter — This is perhaps the most driving, aggressive song on the album. I love the way the monosyllabic bass riff sneaks in some different notes in the second verse, adding a little extra level of interest. Worst Song: America. This was apparently a big club hit in the early days of the band, and I think a favorite for many fans, but I never found that there was much of interest going on. It’s loaded with vocal samples, similar to the Front 242 song Welcome to Paradise, but America never grabbed me like the 242 track did. Swallow Me — I didn’t really notice this song when the album was new, but this has since become one of my favorite tracks in the entire Bigod 20 catalog. It’s dark and brooding and emotional, with a great beat and stirring synth strings. 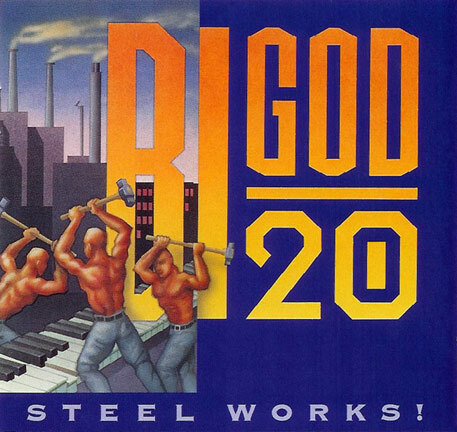 There isn’t really any other Bigod 20 song like it, which is unfortunate. Retortion 003 — This is just a straightforward dancefloor stomper, and a solid one. The metal clang used in place of a snare is a bonus. One — The opening track on the album, this follows the pattern of the previous album’s opener with a rhythm of industrial sounds, but it’s not quite as strong and memorable. The rest of the song is solid with some interesting synth riffs coming in and out, but this song rises to the top more because of what’s lacking in the rest of the album rather than just on its own merits. Honorable Mention: Taurin and Slavery is Guaranteed, but both really need better vocal deliveries. Worst Song: Are You Horney, Yet? This brief track is just silly, with a rhythm consisting of cartoon sound effects and nonsensical lyrics, and I just don’t understand the point of it.